My trip back to Bath in December to visit the folks proved very fruitful. 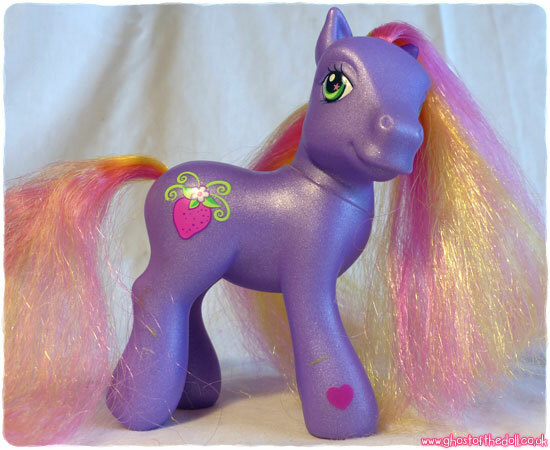 I found several G3 My Little Ponies and a large selection of books and a few games (some from charity shops and others from a general auction). The books and games were to heavy to take home with me on the train, but the ponies snuck in easily! 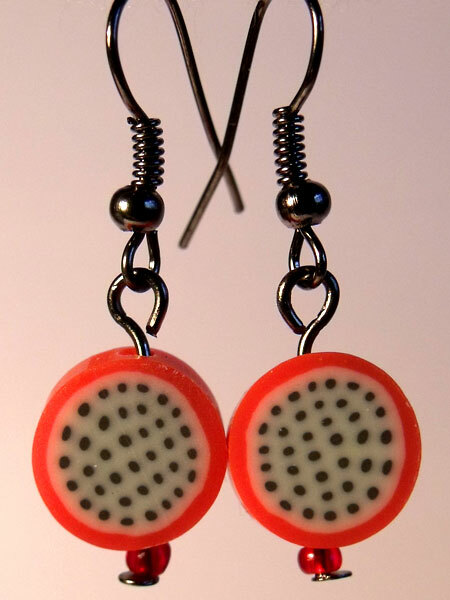 This one is my favourite find! 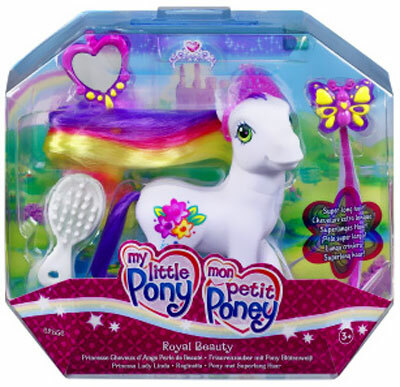 She is called Royal Beauty and has extra long hair. 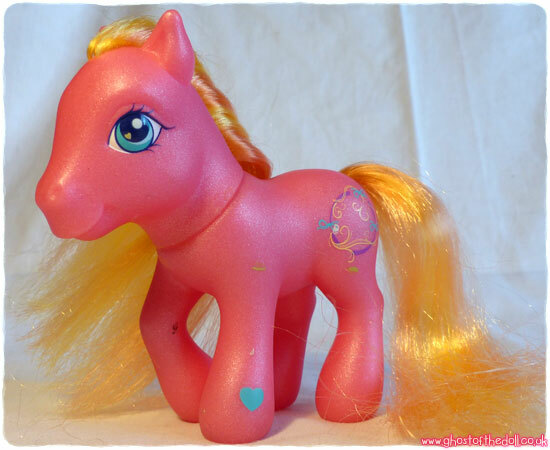 She was released in 2006. 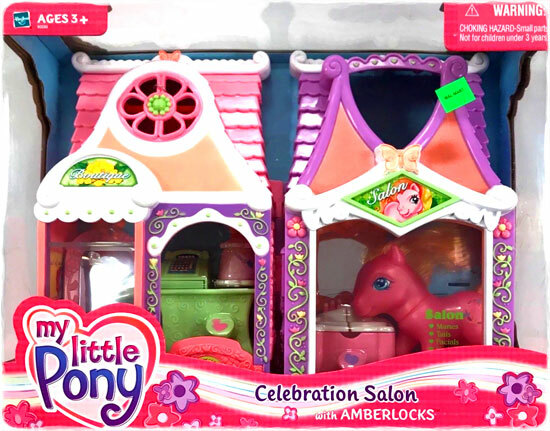 Amberlocks originally came with the Lovely Locks Salon (Celebration Salon in the US) playset in 2003. 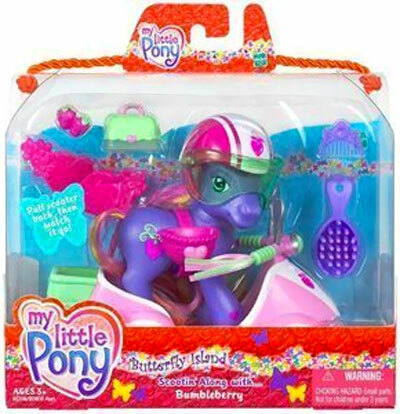 Bumbleberry originally came with the Scootin’ Along playset in 2005. 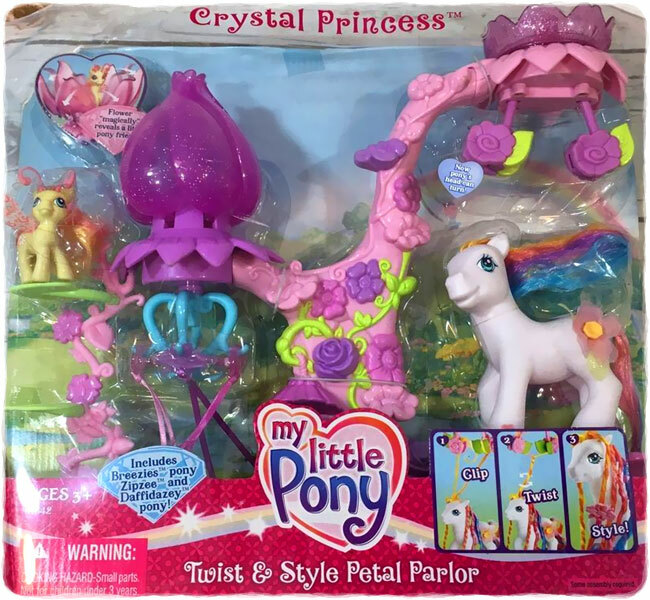 Daffidazey (left) and Zipee (right, a tiny Breezies pony) originally came with the UK Twist & Style Petal Parlor playset in 2006. Daffidazy could do with a visit to the salon! 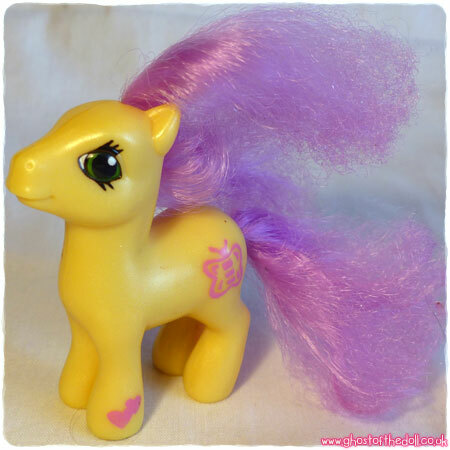 This little pony is a 2004 McDonalds Happy Meal pony called Spring Treat. 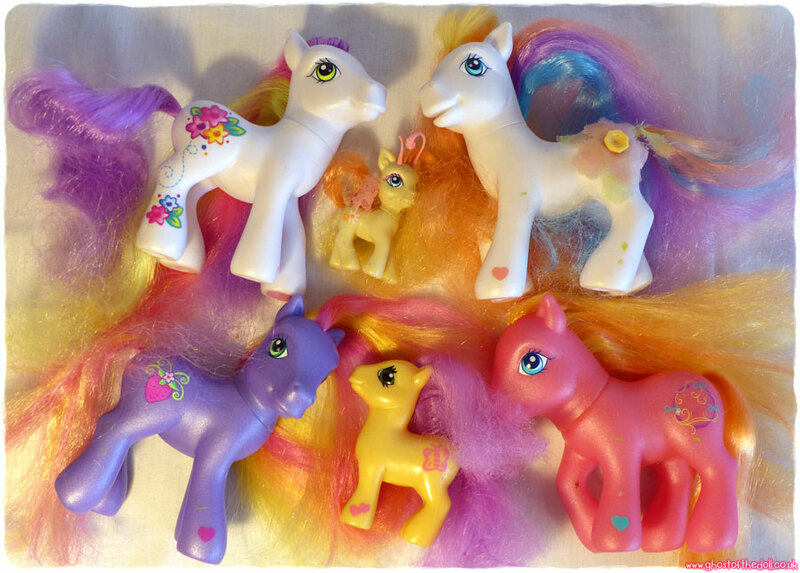 There were four ponies produced, each one coming with a base. 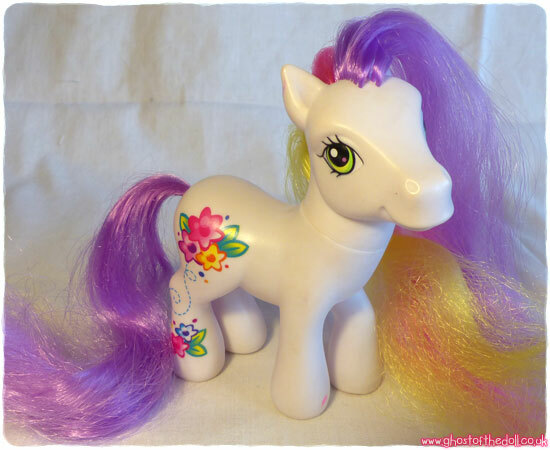 One of her hoofs is magnetic.